Some time ago a Halo inspired project was started, this project is still under devlopment but I decided to release part of it in the marketplace. 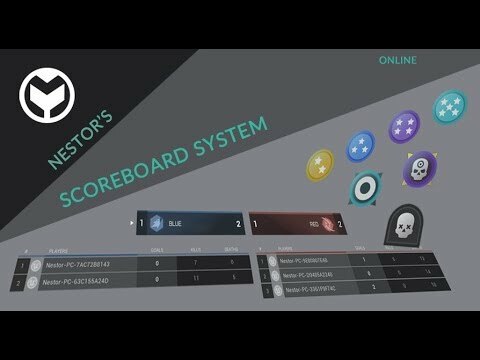 What I´m releasing is a complete Online Multiplayer stats system, with teams, player stats, scoreboard, medal system and scoring system. Hope you like and you can give me some feedback or advise if you are interested or not! Ill be uploading some more content and videos soon. Last edited by Nesjett; 10-04-2018, 04:40 PM.